We are delighted to have partnered with Dom Pérignon, a global leader in prestige Champagne, with a series of experiences — the Dom Pérignon Retreat. The two unique Dom Pérignon experiences, as well as an opulent suite upgrade, are now available to discerning guests looking to elevate their Great Barrier Reef stay. First, a decadent voyage — Dom Pérignon Reef Discovery and Private Beach Picnic — a must for adventurers. After suiting-up in Dom Pérignon wetsuit jackets a private boat charter will lead guests on a snorkel tour of the pristine waters of the Great Barrier Reef to explore the island’s world-renowned marine life. Post the reef discovery, a chilled glass of Dom Pérignon will be poured while guests are transferred to an idyllic corner of the island, Sunset Beach, for a private picnic. While soaking up the serenity of the location, patrons will enjoy decadent lobster rolls and an array of seafoods perfectly paired to Dom Pérignon 2009. Second, a beachside Dom Pérignon Dining Under the Stars experience where two to ten guests can savour the Champagnes of Dom Pérignon underneath Lizard Island’s spectacular starlit skies. Guests will explore the Dom Pérignon universe, including the incredible P2 2000 Champagne, paired with the islands freshest, locally sourced produce and seafood prepared by Lizard Island’s Executive Chef, Ryan Locke. 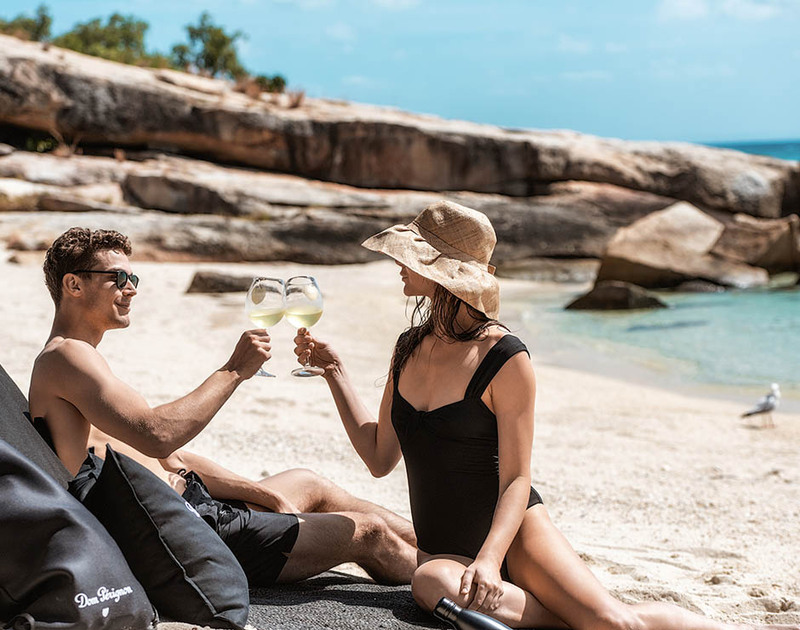 Additional gifts include Dom Pérignon silk pyjamas, Dom Pérignon scented candles and custom beach towels to enjoy at any of the island’s 24 private beaches, where guests can step-off the sand into the most exquisite marine environment in the world. Commenting on the partnership, Lizard Island Executive Director, Greg Magi said it is the beginning of a long and fruitful friendship. “Lizard Island is the only place travelers can indulge in this unique experience of the Great Barrier Reef and we are proud to present it in partnership with Dom Pérignon, a world leader in luxury,” said Magi. Adorn your bespoke Dom Pérignon wetsuit jackets and board a private boat to explore the stunning Clam Gardens or Mermaid Cove. Enjoy fresh seafood and be waited on by a private butler in a secluded beachside location. 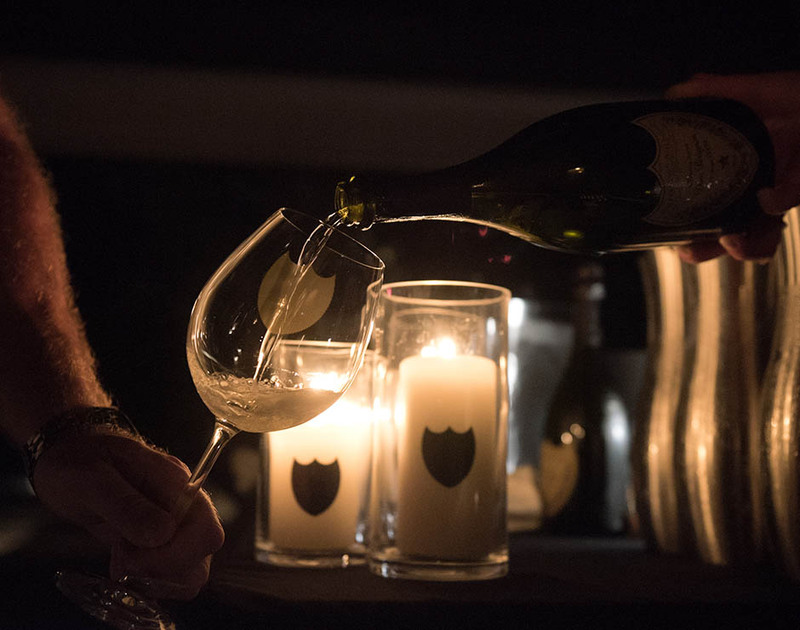 Savour Dom Pérignon Champagnes, including the incredible P2 2000 Champagne underneath stunning starlit skies paired with the island's freshest locally sourced produce and seafood, prepared by Lizard Island's Executive Chef. Elevate your stay to include exclusive Dom Pérignon amenities, which will be yours to keep. 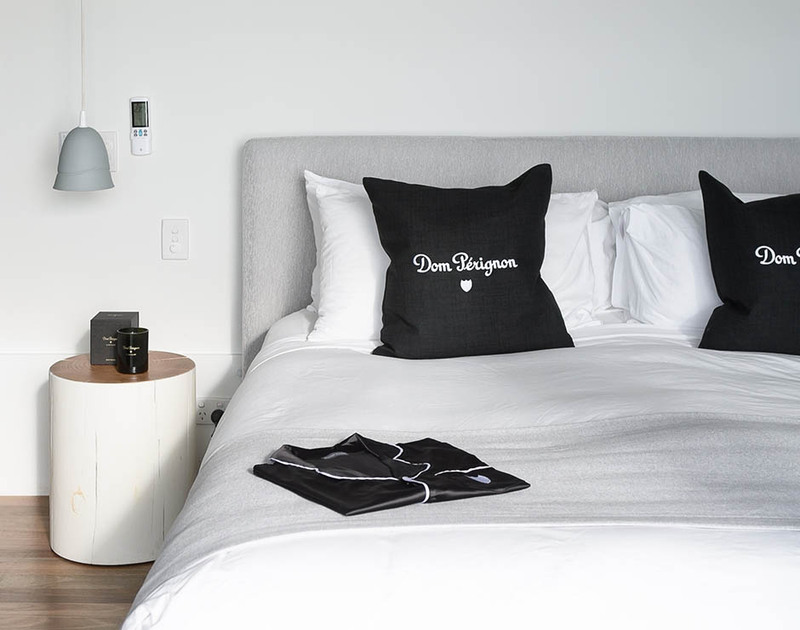 Your suite will be enhanced with an inced bottle of Dom Pérignon 2009 on arrival, silk pyjamas, a scented candle and Dom Pérignon beach towels.